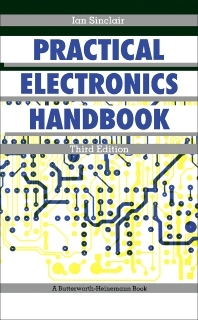 Practical Electronics Handbook, Third Edition provides the frequently used and highly applicable principles of electronics and electronic circuits. The book contains relevant information in electronics. The topics discussed in the text include passive and active discrete components; linear and digital I.C.s; microprocessors and microprocessor systems; digital-analogue conversions; computer aids in electronics design; and electronic hardware components. Electronic circuit constructors, service engineers, electronic design engineers, and anyone with an interest in electronics will find the book very useful.